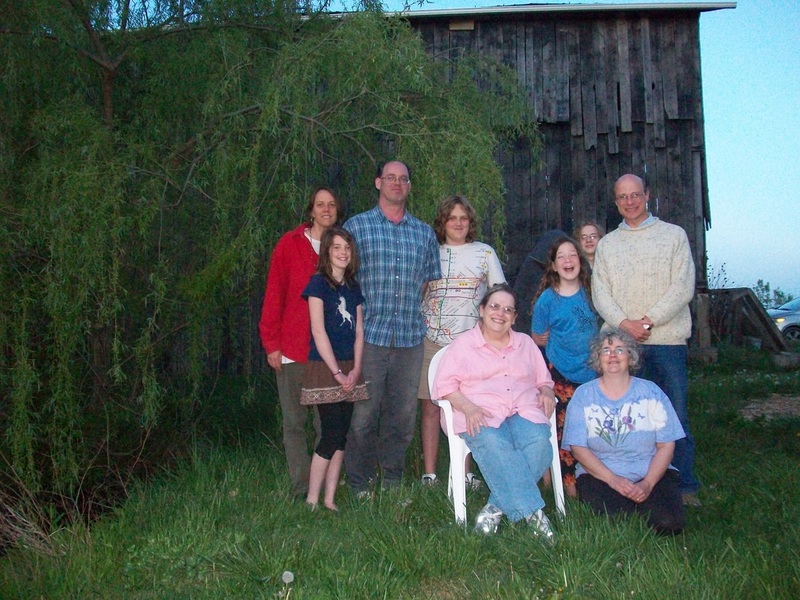 We began as a community of 3 families, sharing 8 acres of land outside of Richmond, Kentucky. Our life together has evolved over the years as we figure out the best way to implement the guidelines in our covenant. When we were all living on the land, we met twice daily, 8 am and 7 pm, for 15 minutes of silent meditation, prayer, singing, or other spiritual practice. We held weekly business meetings and tried to get together once a week for fun and games. We shared the work of caring for the land and common buildings. Now things have changed: Andy and Thyne Rutrough have moved out of the area, and their house is being rented by a new family. Mary Ann Ghosal is making a transition to live near family in Missouri. As new members join the community, we will work together to find expressions of spirituality that are comfortable for all. We have found our daily meetings to be key to keeping our community together and running smoothly, and each of the adult community members commits to being there as often as possible. Thyne and Andy Rutrough have moved to the Louisville area, and their former home is currently being rented to a family of 7. Andy is pastor at St. John Lutheran Church in Louisville and Thyne works as a home caregiver.